How do you emphasize no flatware required for picnic food, especially if the question is asked on the state exam? 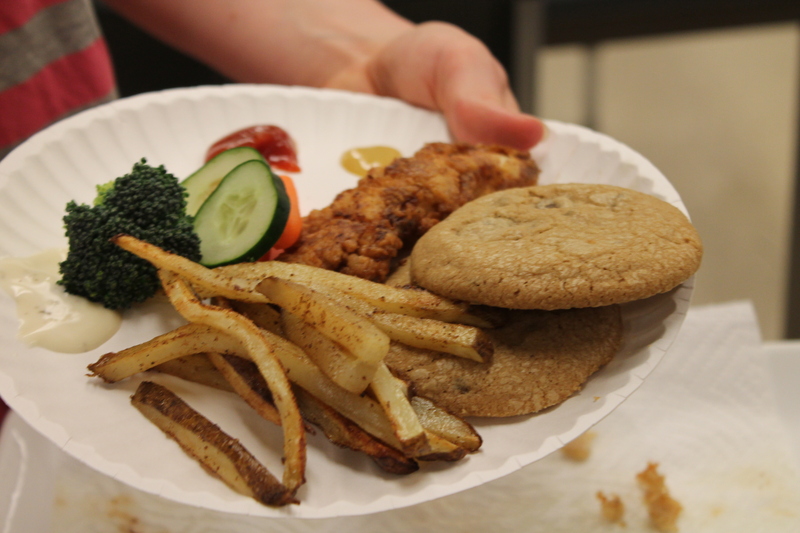 You make the entire menu to help students recall that no utensils are required for eating the following menu: chicken tenders, oven fries, fresh vegetables with ranch dip and chocolate chip cookies. 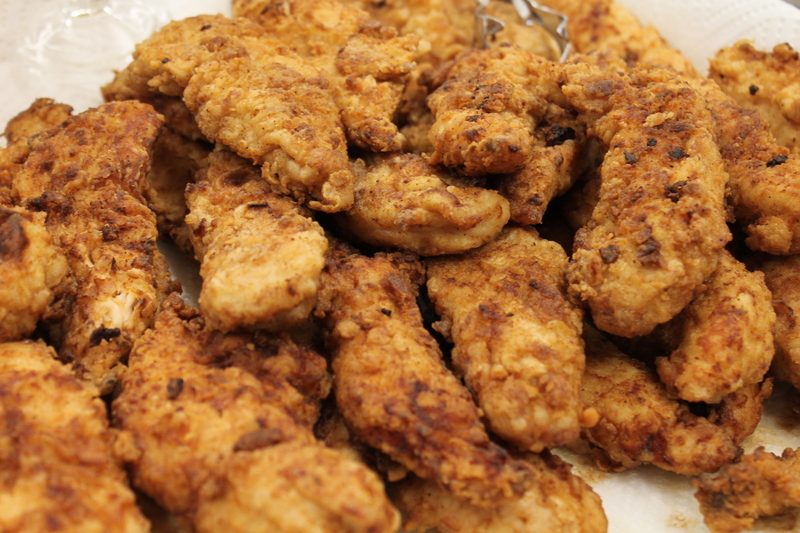 Let’s get the chicken tenders on. 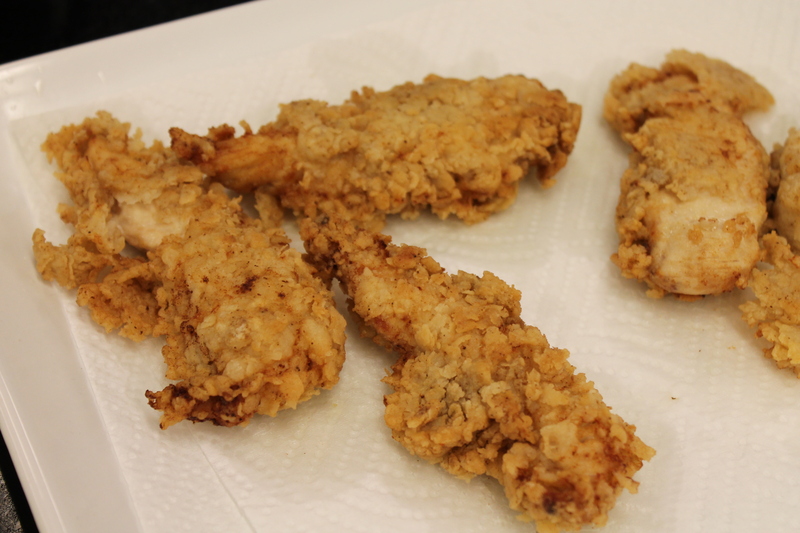 Nicki and Mememakas did a fantastic job on the fried chicken tenders. We used the pioneer woman recipe here. Looking spectacular, don’t you think? 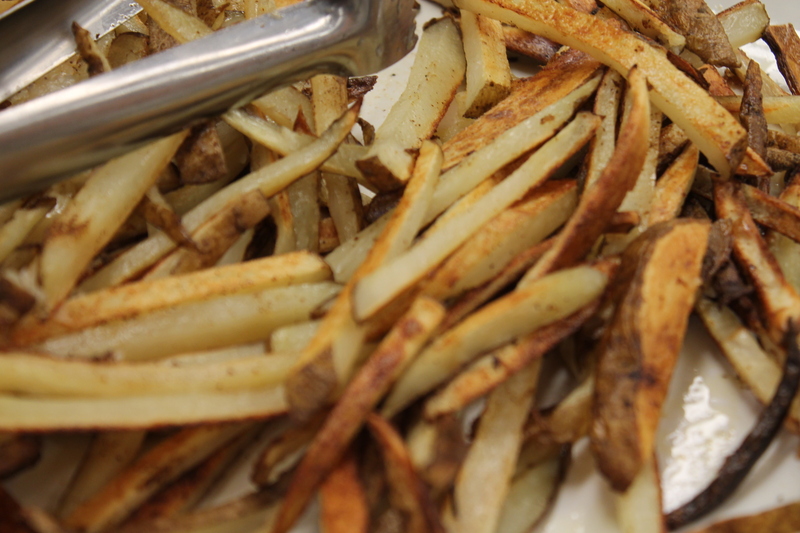 Oven fries going in the oven. It takes two, baby. Delicious. 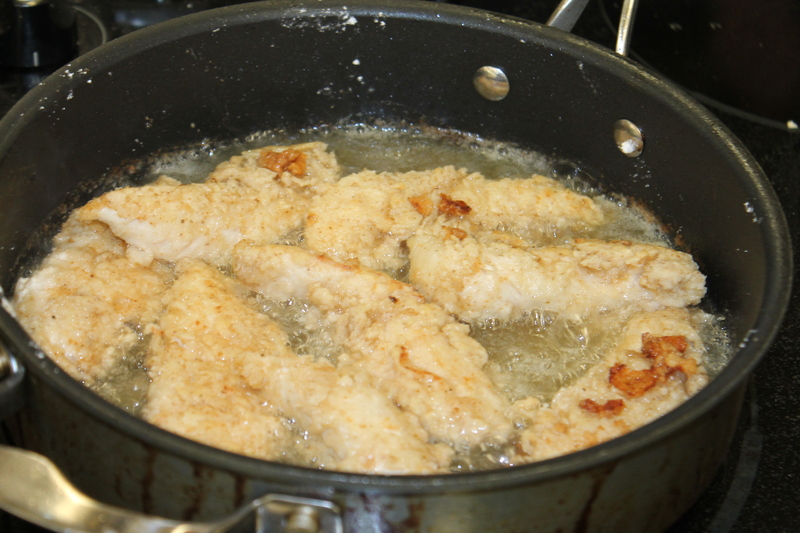 The trick according to Annie’s blog is allowing them to soak in hot water for 30 minutes. I prepped the first batch and the classes that followed prepped the next batch for the next class. It worked out well. We cut ours into shoe string size to bake quicker, about 25 minutes. Recipe is here. 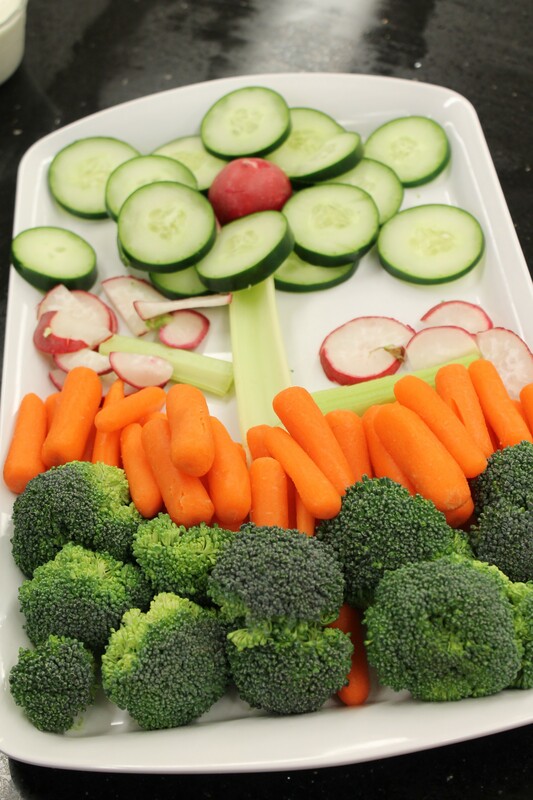 Maria and Ben did a super job making this flowering vege tray I found on Pinterest. When you forget the cherry tomatoes like the picture here, you improvise and tell your students to use one radish in the middle; it works like a charm. We even made homemade ranch dip. 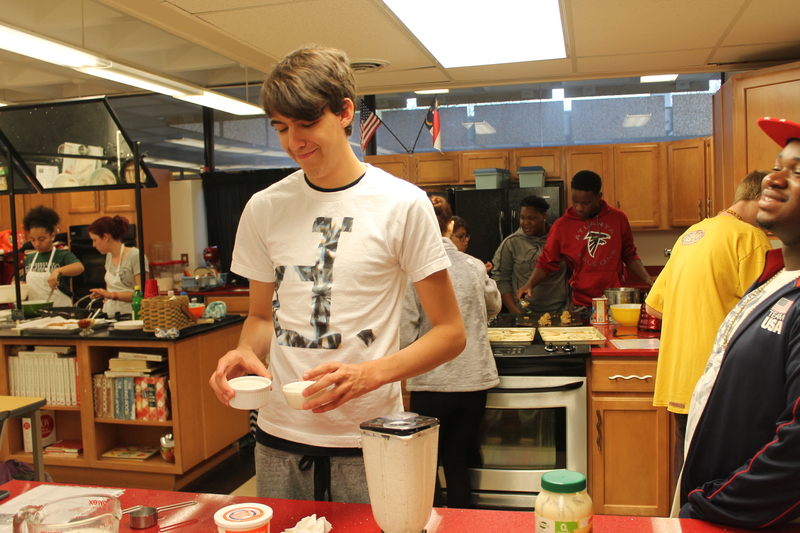 Oliver is surprised by how easy it is to prep using a blender. We love this small equipment. Time to get the cookies in the oven, says Tae. 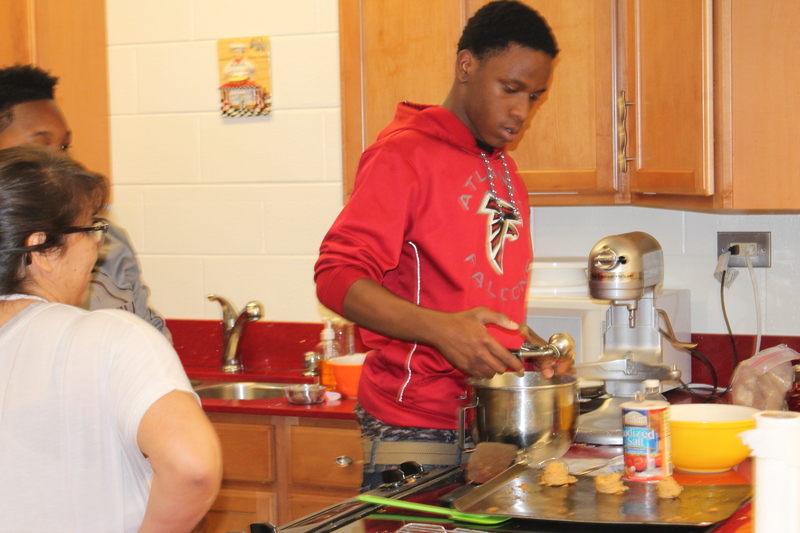 Monica and Brie oversee Tae’s cookie scooping. 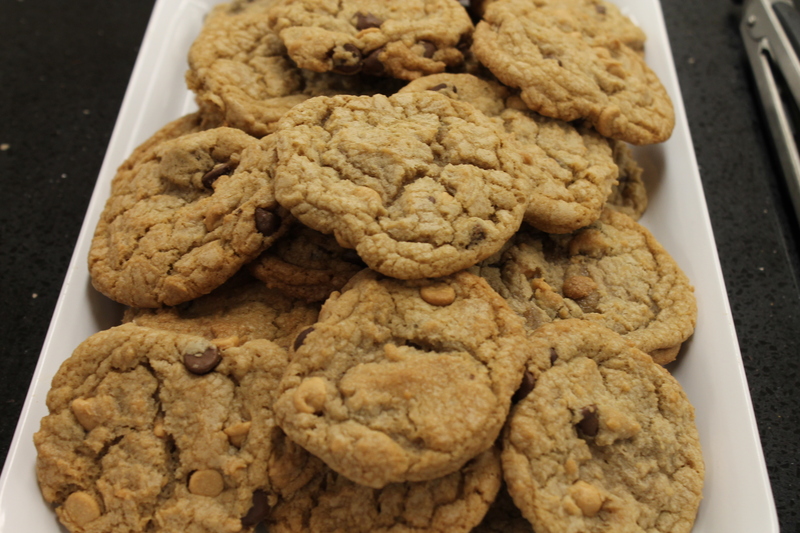 Last, but no least, are chocolate chip cookies. Wait I see peanut butter chips in these. 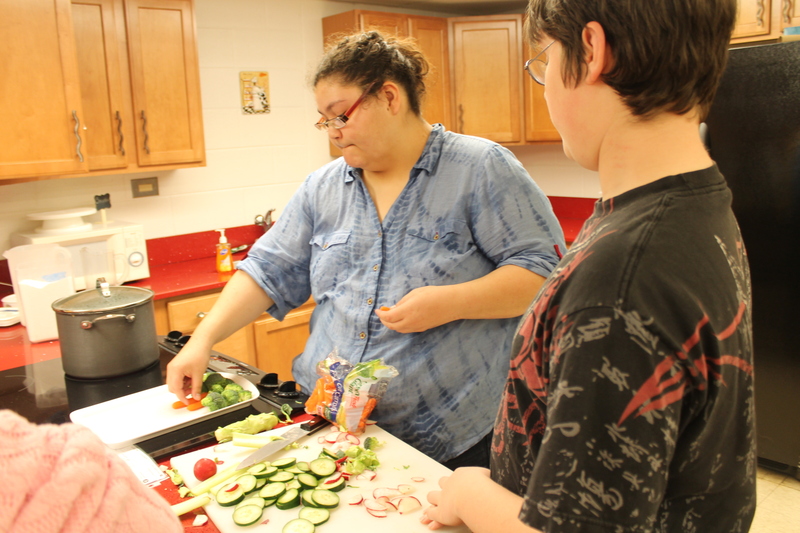 It’s a twist the students asked for while using the Betty Crocker recipe here. 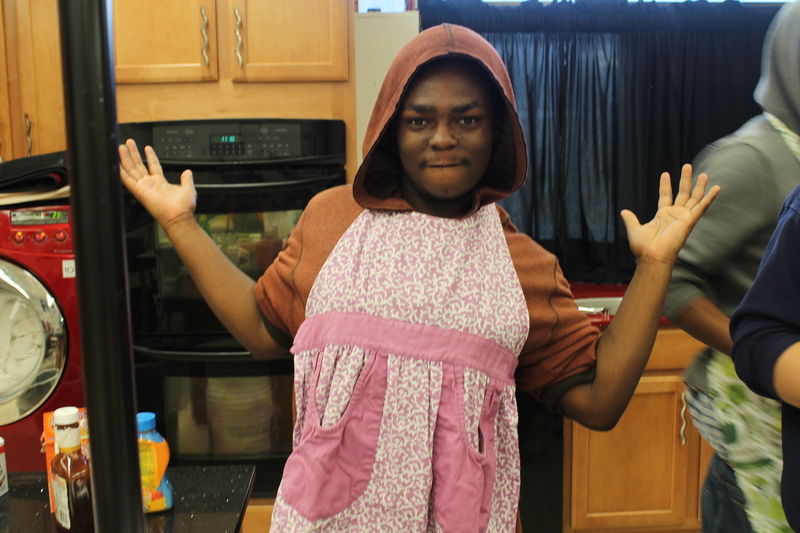 Kayon likes my apron a little too much. 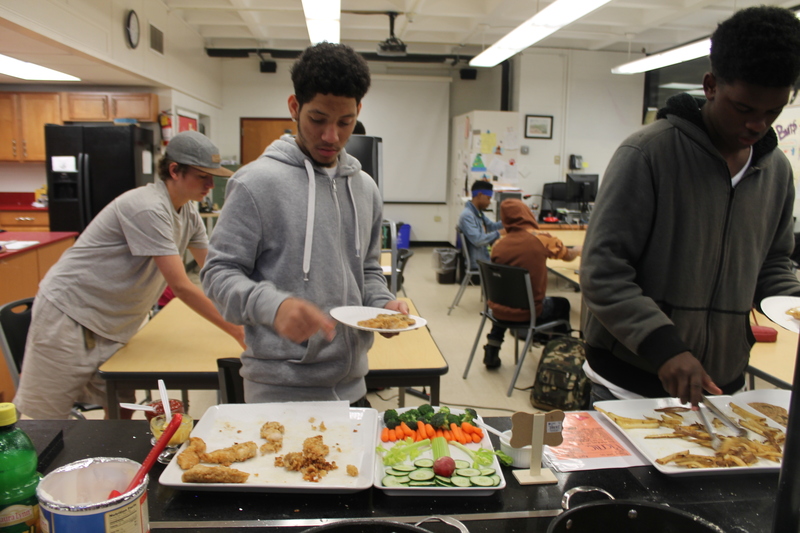 His group did well making crispy tenders. 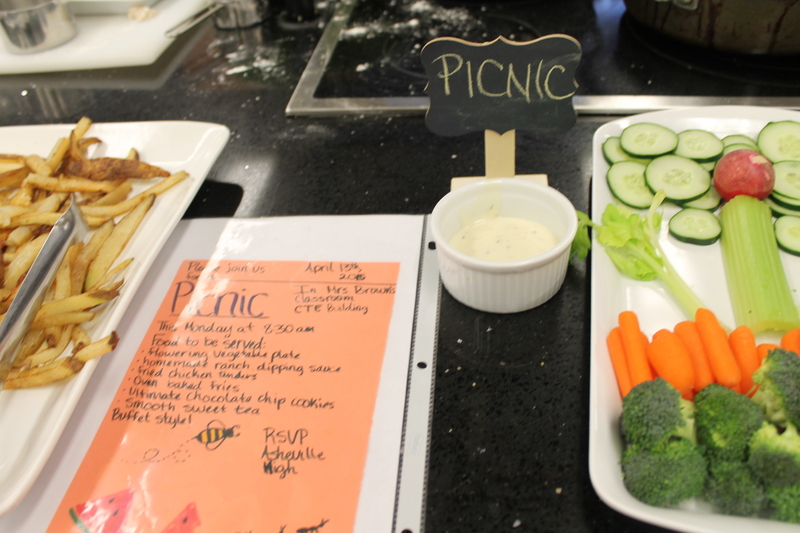 The students also were required to make a picnic invitation on Friday to reinforce our menu was an informal buffet with finger foods. 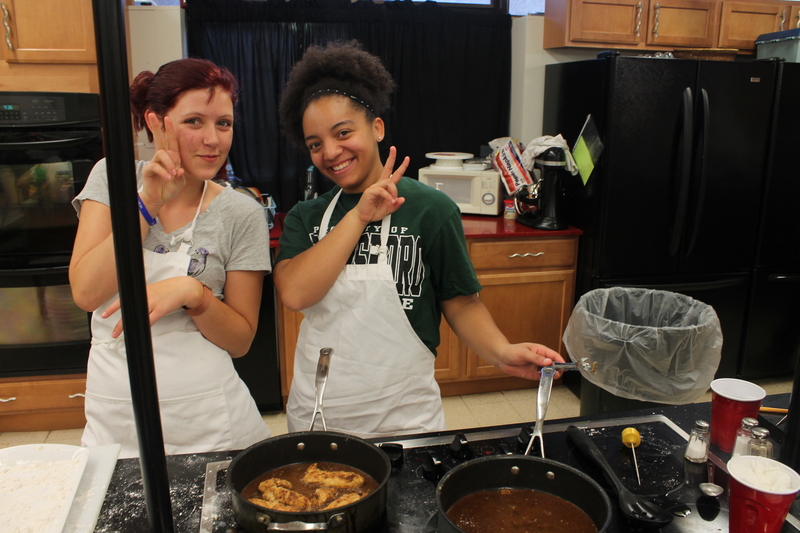 We studied the meal service styles including the informal buffet on Friday. I was hoping for nice weather to have our picnic outside, but it didn’t work out. Instead we had a picnic indoors and it was just fine with the kiddos. 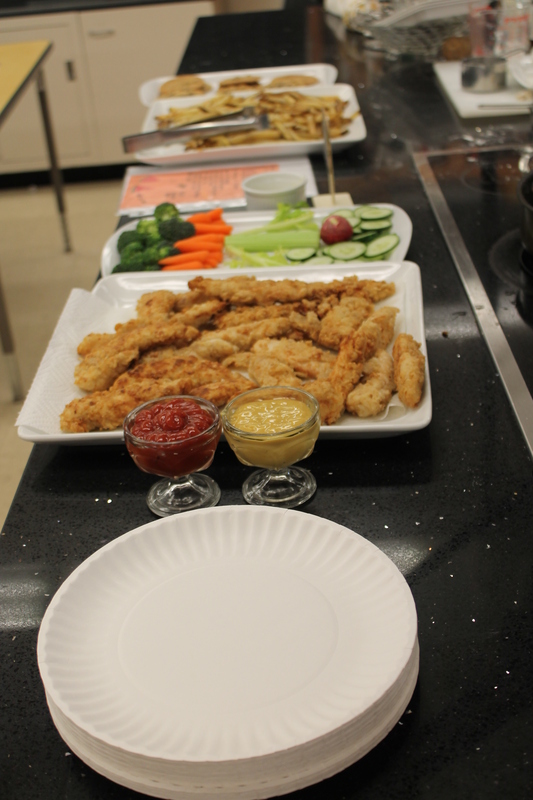 Students always enjoy the buffet experience and we are blessed to have these nice white platters for everything. I picked up these cute dollar chalkboards at A.C. Moore. Awesome picnic indoors, don’t you think?